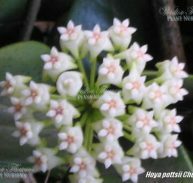 Hoya publicayx cv. 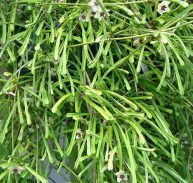 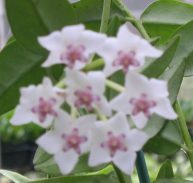 ‘Chimera’ is a spectacular cultivar with beautiful red new foliage eventually turning green with some silver variegation. 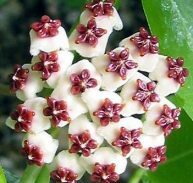 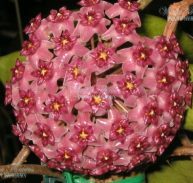 It has fabulous flowers that are from pale pink to dark red and almost black in some cases with the corolla varying from white to red. 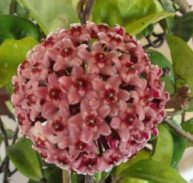 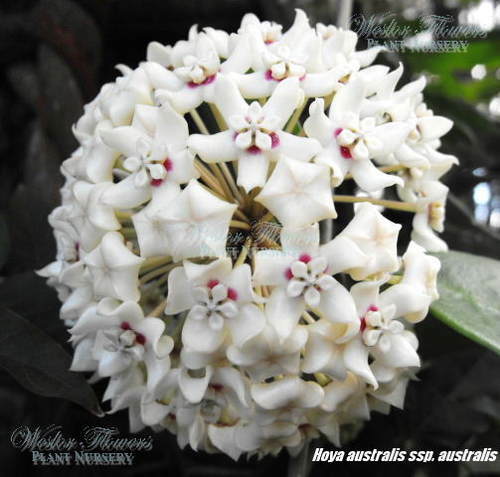 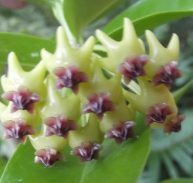 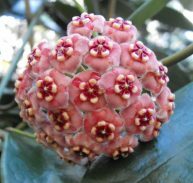 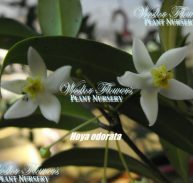 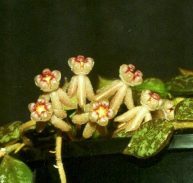 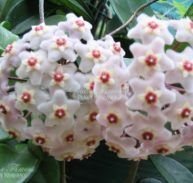 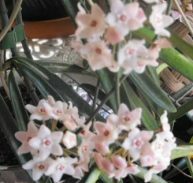 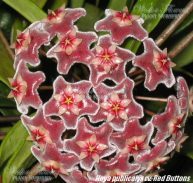 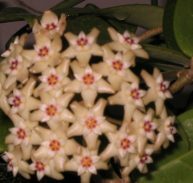 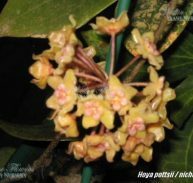 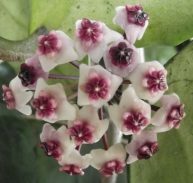 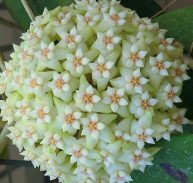 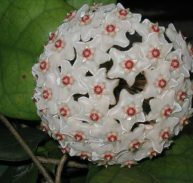 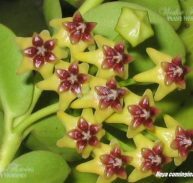 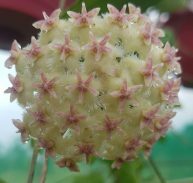 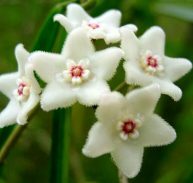 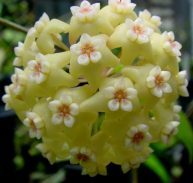 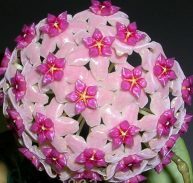 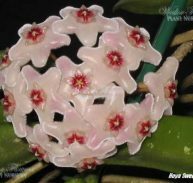 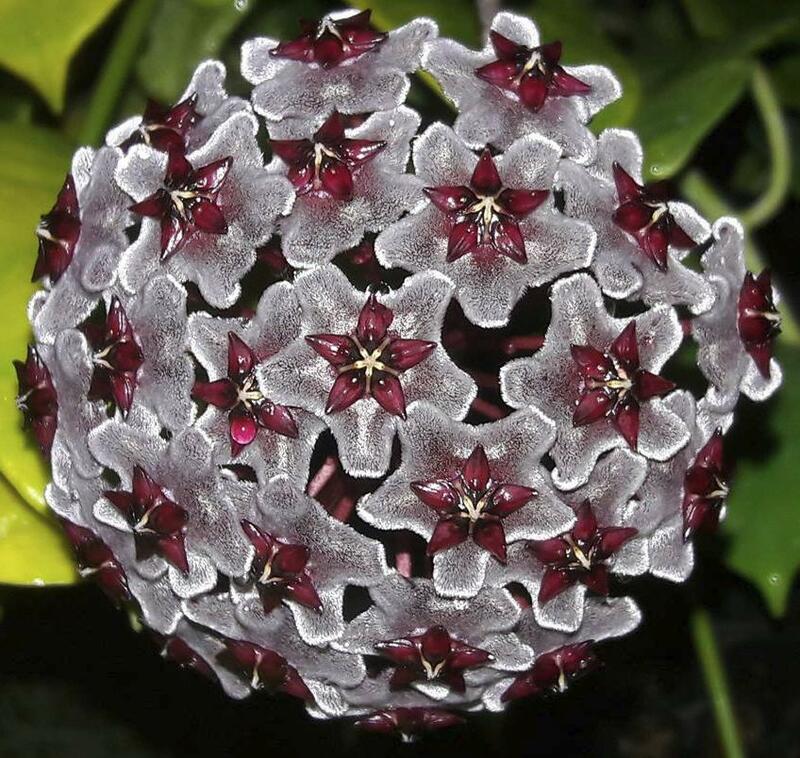 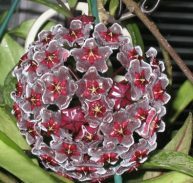 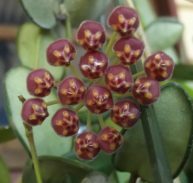 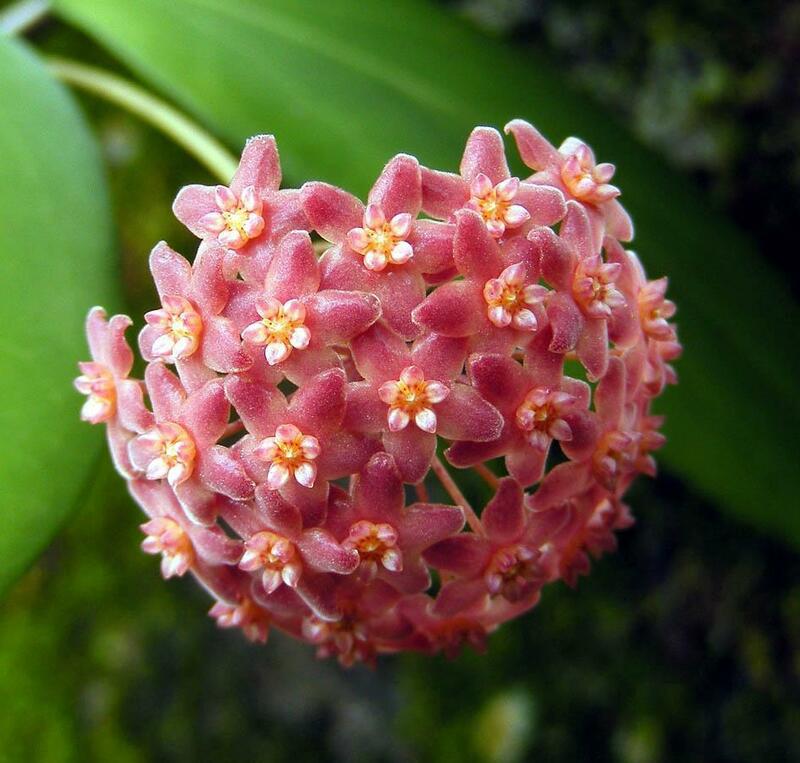 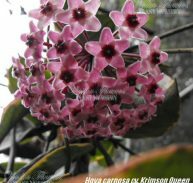 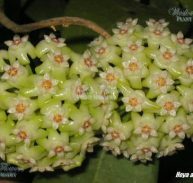 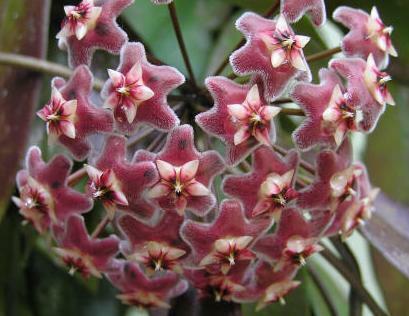 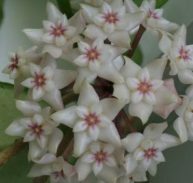 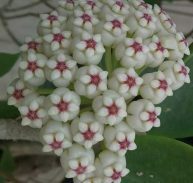 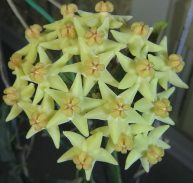 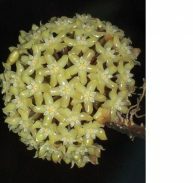 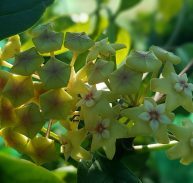 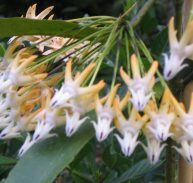 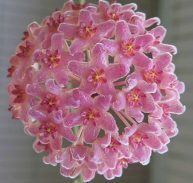 This is a fast growing Hoya that also has a great perfume especially in the evening time.